Is your content marketing strategy giving enough value to your customers? Are customers engaging with your content? 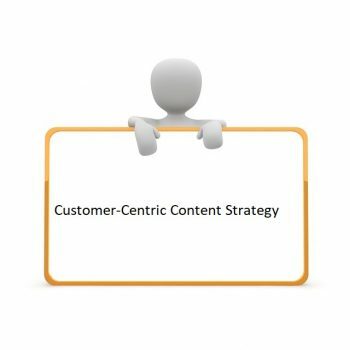 If not, then you need to create a customer-centric content strategy. Customer-centric content marketing strategy focuses on the quality of content that is personalized towards a particular demographic of the audience. If you wish to sell something through the content piece, it shouldn’t be direct rather it must look like an afterthought that came spontaneously during the narrative of the content. Doing so will help you reap great rewards in the form of leads, potential buyers, and ultimately sales. Challenges are basically problems customers in your niche are going through. These problems are as diverse as the customer base itself. Every customer comes with their own set of problems. They may face those problems during any stage of the sales funnel. As a marketer, you need to understand your customers’ challenges and address those key pain points through your content and marketing strategies. It gives you a precise idea on how to put your product or service as a solution to their problems. Doing so will help people relate to you and they will trust you enough to buy from you. The greater purpose of the content should always be solving the problem of their readers. As a marketer, focus on creating content that addresses the existing problems of customers or problems they may face as things change. Make sure you describe the problem in detail and do it through the eyes of customers. Ask the right questions, get to know the actual pain points, and invest your efforts to solve it.
" what cannot be measured cannot be improved." You identified the challenges of your customers and created good content for it. Now, what’s next? How do you know your content has created the right impact or not? Unless you don’t measure what you are doing, you are simply beating around the bush without any clear goals and objectives. Consider these nine metrics to ensure you have a concise idea on the impact your content is making. You have identified the challenge, you wrote a good piece of content to tackle that challenge. You attached metrics to your content and as per those metrics, your content is doing quite well. Now, what do you do next? You have to amplify the impact, and how will you do that? By letting your content reach a big number of people. So, have a promotional strategy in place. Follow the 80-20 rule – spend 80% time promoting your content, and 20% creating it. To make your content marketing strategy highly effective, you need to keep improving your content marketing efforts. Scrutinise your content, observe it carefully and find out the key flaws it has. Do it periodically and identify the content that needs to be promoted more, and content that your competitors are creating to generate leads for their businesses. Do a whole content audit from the performance perspective, social media perspective, and SEO perspective. Once you are done, you will see clear gaps and areas for improvement. Note them down! Once the audit is done, you now know where your content is underperforming and the flaws in your marketing strategies. You clearly know the areas of improvement, your content may be weak in SEO or it may not be a good read on social media platforms. Maybe your competitors are creating better content than you, whatever the gaps are now that you know it, you need to fill them to make your content marketing strategies more effective. At the end of the day, content marketing is an art and it takes time to master it. Adopt the mindset of an agile content marketer to make your marketing strategies better more effective and reap the benefits of content marketing. Every time you draw a strategy on paper, have the end goals in mind. Research well before you create content, put the content out and promote it as much as you can. Once the content is out, wait for the feedbacks and reviews of the audience, based on that optimize your content and make it better. Adopting a customer-centric approach will surely take time as nothing happens overnight. The key is having patience. By implementing these seven steps into your content marketing strategy, you can make your content more effective, which will yield better results. Sandeep Rathore is a certified content marketer and the founder of QuickScream. 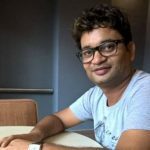 He frequently writes on content marketing, growth, web copywriting, and startup. He is a big fan of American writer Ernest Hemingway and actor Jack Nicholson.